David Stockdale and Beverly Castillo. Harold Douglas and Sara Wood. Nicholas Randolph and Betty Richards. Larry Adkins III and Erica Stanley. Drew Stevenson and Tammy Adkins. Joseph McDaniel II and Danielle Burden. Nathaniel Morris and Ameleah Candel. Daniel Searls and Madia Nicholia. Brooke Baker and Ashley Roub. Brandon Thompson and Victoria Wolford. Waiver of notice of hearing on account; computation schedule attorney fees in estate of Mary Ruth Van Horn. Continuance granted in estate of Ernest V. Brovont. Entry setting hearing and ordering notice in estate of Elsie Venena Wilson. Motion for approval of contingent fee agreement in estate of Lori Lee Cassady. Notice of taking of deposition upon oral examination in the estate of Vernon D. Todd. Judgment entry order to pay attorney fees in estate of Michael D. Schelb. Entry approving and settling account in estate of Julia Aurand. Waiver of notice of hearing on inventory; affidavit of service in estate of Barbara A. Hawbaker. 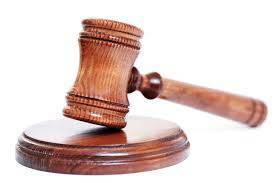 Waiver of notice of hearing on inventory in estate of Bruce W. MacCready. Journal entry appointing a Guardian Ad Litem in estate of Mitchell Michael Davis. Entry setting hearing and ordering notice in estate of Carolyn E. Finch. Waiver of notice of hearing on inventory in estate of Brenda J. Patrick. Entry setting hearing and ordering notice in estate of Jerry Burkhart. Application for transfer of motor vehicles; certificate of death filed; entry waiving appraisal of real property; accepting auditor’s valuation of mobile home in estate of Marcia J. Riggleman.